That’s why I’ve put together this list of some of the top survey sites in 2019 that actually pay. So, while there are other good survey panels to join, these are some of the best in 2019 that pay quickly and on time. Now you won’t have to sift through tons of options to find the best! Before you get started with joining these or any other survey panels, I suggest reading the following important tips that can help you along the way. Something I always tell anyone who is considering joining survey panels for extra cash is to set up a separate email account to use for registrations. Some survey sites do send several emails per week, including from advertising partners or the site itself, inviting you to complete an offer or a survey. Not only will this help you keep your regular inbox tidy, it’ll also help you keep your survey emails in one spot so you won’t risk them getting lost in the crowd. It’s best to sign up for more than one survey site, because you usually won’t make a lot at one site. So, pick your favorites – the ones you think you can earn the most with – and sign up! If you have a lot of friends and family who you think will sign up underneath you, it may be a good idea to join panels that offer referral bonuses so you can earn even more. But, don’t overdo it by joining more than you can handle. Then, you’ll likely get overwhelmed and spread yourself too thin, making it difficult to earn good money on any site. Unfortunately, scams are a big issue in this industry. It’s important to know what to look for to avoid them. One of the biggest red flags is if the site asks you for money to join its panel. You should never have to pay money to make money with a survey site! Also, if any site asks you for personal information, like your financial information or social security number, leave the site immediately. Legit survey sites will only ask you for your basic info, like your name, address, email address, etc. Do some browsing around the site to see if it has a lot of information, like an About page, Terms of Service, and an FAQ. Scam sites will lack a lot of important information. Finally, avoid any survey site that seems like it’s too good to be true, like claiming that you can earn hundreds or thousands per month. In rare cases for people who have several referrals, it may be likely to have high payouts, but it’s not common. Scam sites will use ridiculous claims to entice you to sign up and get your information. Although there are several great survey sites out there, these are the top sites that have proved time and time again that they pay their members. Swagbucks is more than just a survey site. It’s a Get Paid To (GPT) site with several ways to earn money. Anything you make on Swagbucks comes in the form of SBs, which are like the site’s point system. Swagbucks usually has tons of surveys available each day. You likely won’t qualify for them all, but if you fit the demographics needed for a survey, you can complete it. You can also make money from referrals, playing games, watching videos, surfing the web, and more. One of the best ways to earn extra cash here is through cash back shopping. Any time you shop with one of the partnered retailers, you earn part of your purchase back in SBs. This is how I earn most of mine and I fill in my earnings with surveys in my spare time. Once you earn enough SBs, you can trade them in for one of several gift cards to your favorite retailers, restaurants, and more. I’ve been with Swagbucks for a couple of years now and have gotten several Amazon and PayPal gift cards throughout that time. InboxDollars is very similar to Swagbucks, featuring several ways to earn money. But, InboxDollars has some high-paying surveys, and many of them are a bit easier to qualify for, at least in my experience. One of the things I really like about InboxDollars is that you can earn bonuses for completing a special series of tasks, which you’ll see on your dashboard when you sign on. Usually, the tasks include completing a few surveys, clicking on a number of paid emails, and completing a few paid searches. If you remain active on the site, it’s very easy to get these bonuses every week! You can also earn more with free and paid offers, which give you a set amount of cash for completing them. You’ll get your first payment via check when you reach $30. After that, you can choose to transfer your money to a prepaid card. MySurvey is one that offers an excellent referral system for you to earn extra cash beyond surveys, and you may even qualify for product testing! This survey panel has been around for years and is one of the most popular options. Plenty of people have proven that it pays. You’ll earn points for each survey you take, which you can redeem for several different gift cards, from PayPal cash to Amazon gift cards. Previously known as Survey Spot, Toluna is one of the most talked-about survey sites. Here, you can not only take surveys in exchange for rewards and cash, but you may also qualify for free test products in exchange for your honest opinions. You get points for each survey you complete. New members automatically get 500 points for free added to their accounts. There are plenty of rewards to choose from with Toluna, including PayPal payments and Target and iTunes gift cards. Each reward will require a different amount of points, but you’ll need a minimum of $5 in equivalent points for any reward. Opinion Outpost has some mixed reviews, but mostly because the site freezes some accounts for security purposes. However, those who contact customer service promptly about the issue seem to have no problems receiving their funds. This site has been around for a while and has thousands of active members. In addition to receiving cash and other rewards for participating in surveys, active members can be entered into regular sweepstakes. You need 100 points in your account to request a PayPal payment of $10, or 50 points for an Amazon gift card worth $5. One benefit to this site is you can log in and view available surveys whenever you want, so you don’t have to wait for invitation emails. When you sign up for Vindale Research, you’ll already get a free $2 credited to your account! 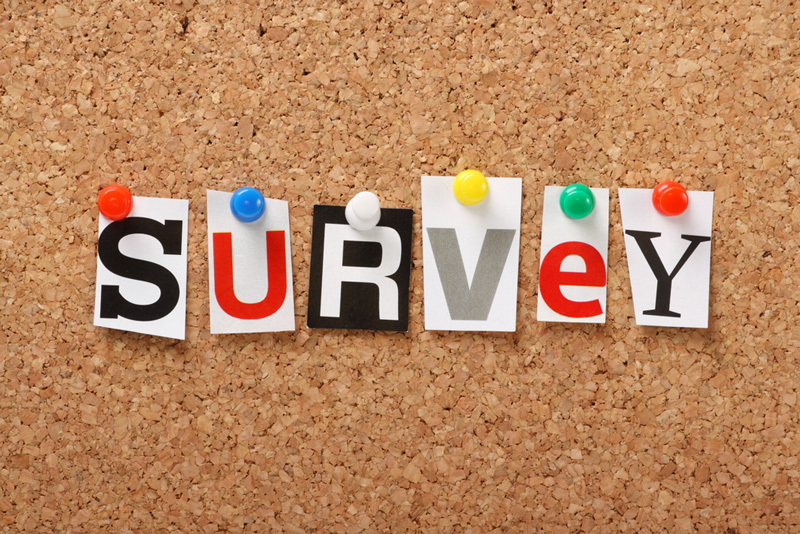 Vindale Research sends frequent surveys that you may qualify, depending on your demographics. And, it pays in cash instead of points, so it’s easy to know exactly what your balance is worth. You can even use the site’s handy mobile app to take surveys when you’re on the go! Members love this site for their fast PayPal payments and having some of the highest payouts for surveys in the industry. Depending on their length and complexity, you can earn $10 and up for just one survey! Pinecone Research occasionally reopens for new registrations, but it’s a semi-exclusive panel that will close when they no longer have a need for new members. Still, it’s a good one to bookmark and occasionally check back on because each survey typically pays about $3, which is higher than most other sites. You only need a minimum of $3 in your account to check out with PayPal, and plenty of members have said they’ve gotten several payments. You can also get paid via check, Amazon gift card, and various other gift cards, like iTunes and Walmart. Survey Savvy is one of the few survey sites that has no minimum amount required before you can cash out! So, cash out as low as $1 if you’d like. Even if you get disqualified from a survey, you’ll automatically get entered into a monthly cash drawing. Survey Savvy has one of the best referral programs, offering you a portion of your referrals earnings, and even a portion of their referrals earnings! Fusion Cash is also a GPT site that offers you more ways to earn than just surveys, but surveys are one of its more popular options. Here, you can get paid to click ads, download mobile apps, play games, watch videos, refer friends, and more. And, you even get a $5 bonus just for joining and filling out your first survey! Once you have $25 in your account, not including earnings from bonus offers, you can cash out with one of several payment methods, including PayPal cash. American Consumer Opinion has over 6 million members, making it a popular choice among people all over the world. You can have opportunities to test new products in addition to taking surveys, which can let your voice be heard even more! You’ll earn between 100 to 5,000 points per survey you take here, depending on the complexity of the survey or project and how long it takes. You only need 1,000 points in your account to redeem them for a prize. For most countries, PayPal cash is an option for cashing out your points, but some countries don’t allow it. If PayPal isn’t an option, you can use HyperWallet or donate your earnings to a charity of your choice! You can also use your points to enter various sweepstakes on the site. Even if you don’t qualify for a survey based on the screener, you’ll still receive 5 to 50 points for the screener, depending on its length. And, you’ll receive an automatic entry into a sweepstakes for an electronic gift card. The website states that you should expect to receive at least one screener invite per month, so it doesn’t have as many opportunities as some other survey sites, but it’s still a legit place that pays. Formerly MyView, OneOpinion is a popular survey site where members say they don’t have an issue getting paid and customer service is friendly and helpful. You earn points for each survey, which varies depending on length and complexity. Once you have 25,000 points in your account, you can redeem them for a $25 gift card of your choice – and some are even sent to your email electronically and instantly! There you have it – the best survey sites for 2019 that will really pay you! These sites have good reputations and are ones that real members have proven to have paid. Of course, there are many more out there that may help you earn some more cash, so don’t be scared to try them. Just remember the tips I provided about avoiding scams so you and your information can stay safe. What are your favorite survey sites? Thank you for all this great information! I’m already a member at Swagbucks, OneOpinion, SurveySavvy, and My Survey but I see at least two more I’m going to apply for. SurveySavvy also has a mobile app called SurveyConnect that pays extra if you download it on all your devices and let it read your usage data. I couldn’t get it to work on my iPhone and iPad but it’s worth knowing about. My Survey is the one I’ve been with the longest but I use it the least. It has a tendency to put out error messages *right* at the end of a survey, forcing me to try to report it (not always easy to do) in the hope of getting rewarded anyway, which doesn’t always happen. I stay with them for the beverage diary they send me about every three months. It pays well and is fun to fill out. Just thought I’d share my own experience and now I’m going to go sign up for a few more. Thanks for sharing!